Could your business weather a business disruption? What is the Virtual Advantage? Workplace flexibility or worksurfing is a concept and strategy based on getting work done in the right place (own discretion) by the correct people at the ideal time. It is made possible through virtual computing, a model developed by Cloud Service Providers for centralizing IT resources and delivering them as a secure, high-definition service that enables users to work whenever, wherever, on whatever device. Businesses must be able to react to change quickly. Whether it is on-boarding or off-boarding new employees, rolling out new software packages, or allowing workers to access their information from wherever they are – traditional IT is not as robust, not as fast, and more expensive than comprehensive virtual solutions. Encapsulates the idea that workers have uninterrupted access to the data and applications their productivity depends upon. The same virtualized infrastructure that enables worksurfing also provides a highly effective foundation for maintaining business continuity through disruptions of all kinds, planned and unplanned: routine system maintenance, power failures, critical system outages, broken water mains, seasonal illnesses — as well as more serious situations such as natural disasters. 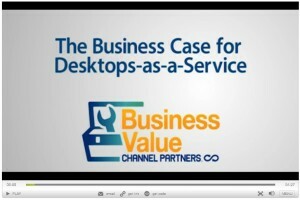 Given the potential a disruption has to substantially impact a company’s bottom line, due to diminished productivity, lost revenue, missed opportunities, failure to meet service level agreements and customer defections... It’s no wonder that business continuity is the number one reason to virtualize your apps and desktops. Companies today rely on data and ensuring that data is safe and secure is key. Any interruption in either connection – hardware or software costs money. Virtual desktops provide enterprise grade data and system access that was not previously cost effective. Regulatory requirements stressing you out or have you unsure on migrating to the cloud? Our providers enable compliance by providing the tools necessary to ensure your business is covered with a variety of regulatory requirements. Balancing work and home schedules increases productivity and reduces turnover. Attract and retain the best employees wherever they are. Open a new office, hire new employees, and grow without the overhead of traditional IT costs. Like it or not, employees are changing how they want to work. Studies show that companies who embrace this change show an increase in overall employee productivity, lower overall wages as employees prefer flexible work environments over higher salaries. Desktops-as-a-Service takes the applications that would normally be found on your desktop and runs them in the cloud. Might this be a good fit for your business? Channel Partners’ senior online managing editor, Craig Galbraith, helps you decide. VirTerrus will help enhance the way your organization currently computes, and in most scenarios, create a substantial amount of savings. Cloud technology and its computing resources create a more efficient and productive day to day operation for staff, remote employees, and administrative personnel. Moving to the cloud is truly an optimal solution when it comes to your network infrastructure, user access, and Information Technology. One of the compelling features to take into account is that you’ll never have to buy another server. Take advantage of virtualizing your infrastructure and hosted desktops. Virtual desktops offer the convenience and flexibility of logging in from any device (iPad, Mac, PC, laptop, tablet, smartphone), anywhere in the world and receiving your current (windows) desktop.